Everything you need in one series to promote good healthy sleeping habits for you and your family. This is not just about your child, but how to cultivate sleeping habits for you and your partner to thrive and feel energized despite the busy schedules. Begin your twenty-four episode journey through the real story of sleep today. Learn the components of good sleep to empower you to create your own sleep remedies. 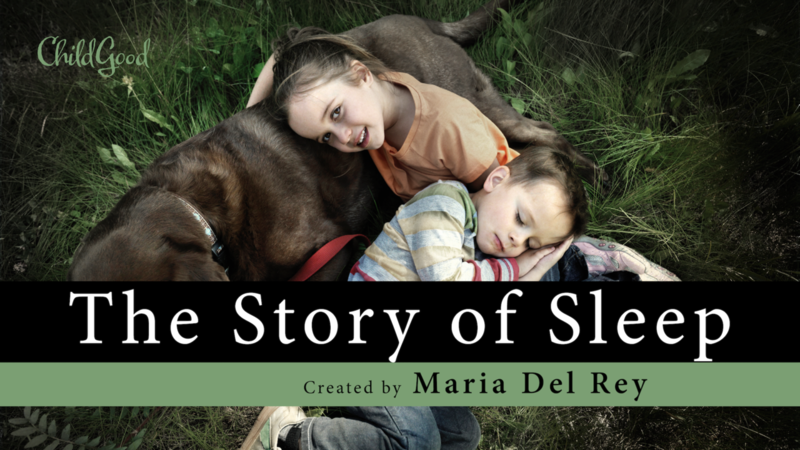 The Story of Sleep Everything you need in one series to promote good healthy sleeping habits for you and your family. This is not just about your child, but how to cultivate sleeping habits for you and your partner to thrive and feel energized despite the busy schedules. Begin your twenty-four episode journey through the real story of sleep today. Learn the components of good sleep to empower you to create your own sleep remedies. Twenty- Five Episode Series12 - Video Episodes on the science of healthy family sleep habits.9 - Audio Episodes on the life and logistics of sleep.5 - Bonus Videos. Our ChildGood Team of Experts: George Simms M.D.Cheryl Tierney M.D.Gustavo Nino Barrera M.D.Chrissi Hart Ph.D.Sukhdeep Gill Ph.D.